The downward spiral continues for the US video game market as sales of software, hardware and accessories were down for the ninth consecutive month. Research firm NPD Group reports that overall sales dropped 20 percent in August to $515.6 million, down from $647.2 million last year – a seemingly accurate estimate seeing as the number of gamers dropped by nearly 12 million since the same time last year. The hardware sector suffered the most, dropping 39 percent year over year to just $150.6 million. The long lifecycles of today’s consoles and the number of gamers opting to play on tablets, smartphones and social networking sites are the primary factors that led to declining sales, according to NPD Group analyst Anita Frazier. 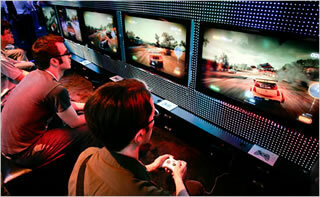 Core gamers, described as those that buy titles for console games, typically spend 35 percent more than others. For example, the average gamer spent $48 on a physical game and $16 on a digital title over the past three months. Core gamers shelled out $65 for a physical game on average. As you can see, core gamers are viewed as vital to the industry’s long-term success. Microsoft’s Xbox 360 was the most popular console for the 20th consecutive month, although at this point the system (as well as those from competitors) is beginning to show its age. Frazier agrees, noting that it would be great to have new systems breathe life into the ecosystem. That breath of fresh air is expected to begin later this year when Nintendo launches the Wii U.